Since a long time i am looking for "a way to go", a way to get a desktop setup just the way i need for personal stuff and my work. So as i am waiting for a new hard drive to come, i spend some times to change things and try to figure out a good setup for the the working year to come. 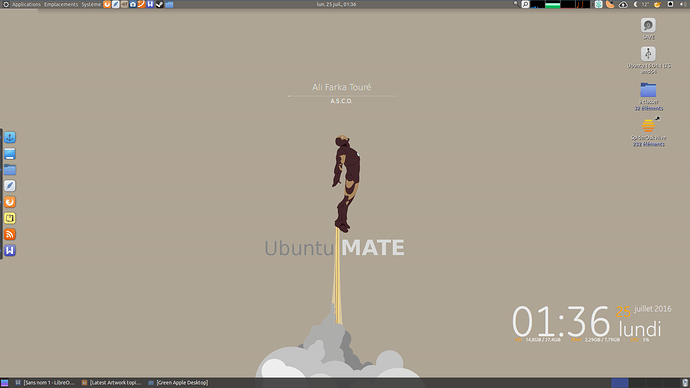 As many, i have tried a lot of desktop and even distro (not that much anyway) and i am sure that i want to stay on Debian/Ubuntu base. I love apt !! So my last competitors those days are Unity and Mate. I feel unity just efficient to do and "catch" things especially to mange windows in use and multi-desktop tasks ... it works also well on this device. 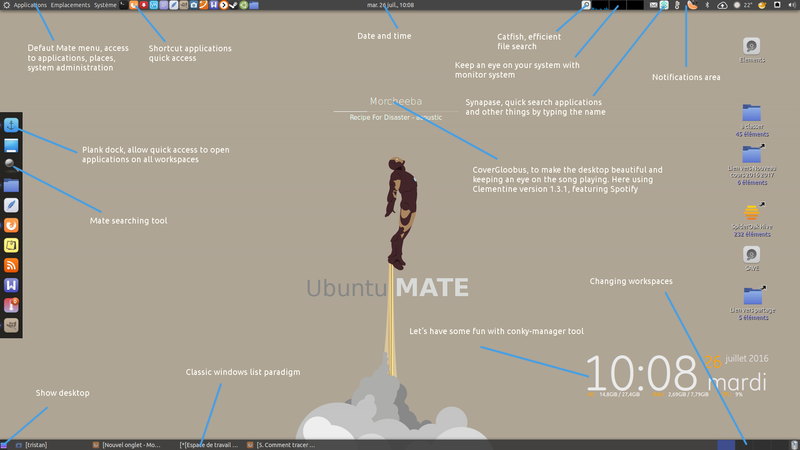 Ubuntu Mate is a growing up community wich is exiting, a fair project close to GNU values and the desktop is SO configurable !! So, you, how do "y' ubuntMATE ?" 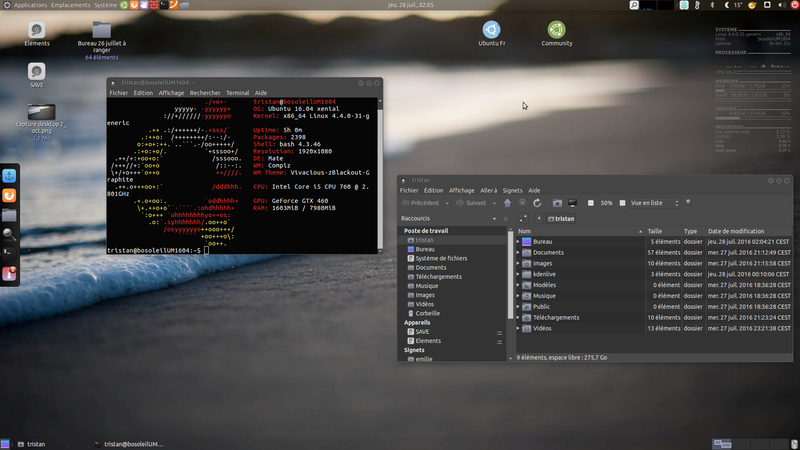 To me, the beautiful of Linux isn't just about style and customs, it is much more. It is to find a way to appreciate computing and get free to organize it the way we like, released from imposed desktops paradigms (such as proprietary software) through sharing knowledge of softwares. New hard drive, new desktop, so i looks like i go Mate !